On Tuesday, September 20, 2016, I have the privilege of speaking at the World Parkinson's Congress 2016, to be held in Portland, Oregon between the dates of September 20 – 23. My first of two talks will be on Self-Care (although I must admit that I feel quite inadequate to cover this topic given my failures in this regard). One of the tools that I will be discussing is the use of a Self-Care Plan (SCP). An SCP can serve as a constant and invaluable resource that will allow a person with Parkinson’s, a caregiver, a healthcare worker, a medical professional, and even family and friends, access to comprehensive information that will result in a higher quality of life than you would otherwise be capable of experiencing. I suggest you collect all the material necessary for your SCP in a three ring binder with multiple tabs to reflect a Table of Contents. 1. 1. Self-Care Plan – under the first heading/tab would be a description in detail of what might otherwise be called a wellness plan. This would include a general description of what is sought to be achieved by a SCP, goals and aspirations, as well as priorities, rewards and limitations. There are excellent smart phone apps available for free or very little cost (under $10) in which a great deal of relevant information related to a wellness plan can be kept for easy access. b. a description of all reactions/responses to medications, when experienced, for how long, severity and relieving factors. 3. 3. Health Care Team (HCT)– under this tab should be a complete list of all healthcare professionals including your family doctor, neurologist, key nursing staff potentially surgeon in relation to DBS), their contact information, addresses, and other relevant information. 4. 4. Therapy – listed under this tab would be the same kind of information as noted under the first heading for your HCT, but in this case it would be for therapists, including physiotherapy, occupational therapy, speech therapy. It may be helpful to list any therapeutic regimes, responses to different therapies or other relevant information here. 5. 5. Nutrition/Diet – all information related to dietary and nutritional concerns. 6. 6. Weight – if fluctuations are of concern. 7. 7. Exercise – all exercise plans, trainer/coach particulars and contact information, results and accomplishments. 8. 8. Pharmaceutical Medications – a complete list of all medications prescribed, and changes, together with the relevant dates, reactions to end a copy of the comprehensive information provided by pharmacies at the time of the prescription is being filled. 9. 9. Sleep, rest and fatigue – record sleep sufficiency, disturbances, irregularity (consider using phone apps to record sleep patterns). Also describe fatigue levels, timing, severity. List nap(s). 10. 10. Cognitive functioning, depression, anxiety, self-isolation and apathy – if not listed elsewhere, provide comprehensive information on therapist and personal coach. Detailed journaling would also be helpful to assist in assessing both onset, responses and treatments. 11. 11. Caregivers – list particulars with respect to any caregivers, including arrangements made with them. 12. 12. Technology – list of computer applications, technology involved, passwords, mechanical assists. 13. 13. Involvement in the advocacy and clinical trials/studies – relevant details. 14. 14. Psychosocial – describe feelings of guilt, self-pity, anger, lack of confidence. 15. 15. Social Options/Support Groups/Peer Support/Friends and Family network – particulars with respect to groups and/or individuals. Recording of dates, events and occasions. Anyone under the age of 50 probably won’t recognize the title of this blog. The Beatles (who most people have at least heard of) recorded the hit, “When I’m 64”, at the end of 1966, 50 years ago. 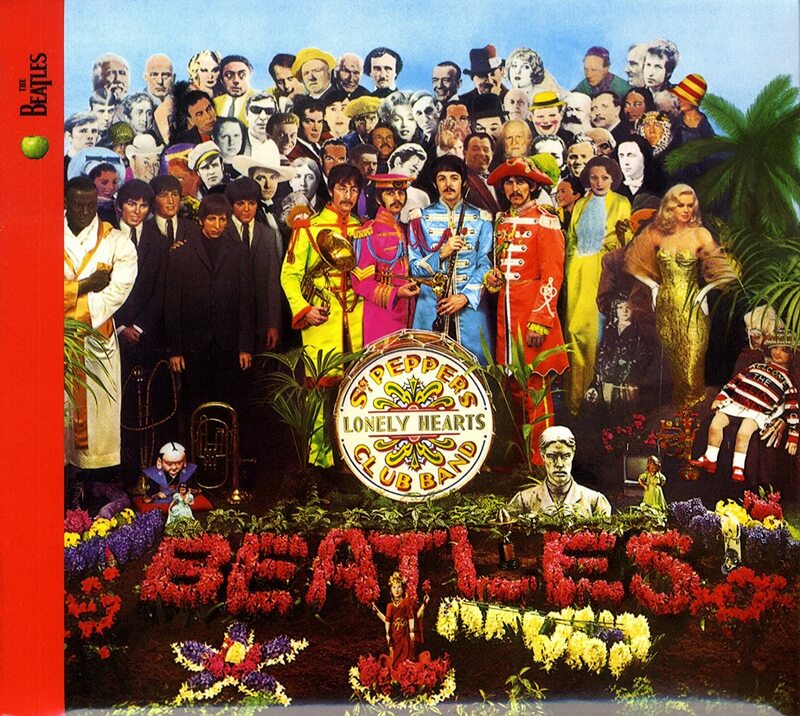 It became one of the lead songs on the four time Grammy award-winning album, “Sergeant Pepper’s Lonely Hearts Club Band”. 32,000,000 copies were sold, more than any other Beatles record. As of today, July 10, 2016, I can no longer sing this song in anticipation. I remember first hearing it when I was 14 years old, a mid-teen country boy consumed with dreams about the adventures and exciting opportunities that would fill my next 50 years. The age of 64 seemed like an eternity away. But here it is, my 64th birthday has arrived much faster than I thought it would. The lyrics of the song are somewhat of an enigma, especially when you discover that Paul McCartney had written the lyrics at the ripe old age of 16. Sung from the perspective of a teenager wondering what it would be like at the age of 64, the song is a series of questions posed to his prospective lifelong partner. See the lyrics below. The song expresses personal insecurities and asks questions that remain relevant even after 50 years. Will we still celebrate life when it’s not quite as romantic as it once was? Will we consider the needs of each other? How will we spend our time together? Will we continue to live meaningful lives? Will we have enough money? Will we have family to enjoy? Will we be secure in the commitment we have made to each other? For my part, it has been an extraordinary 64 years. Far from shallow, boring or tedious. Renae and I, both 64, have had, and continue to have, phenomenal adventures and meaningful opportunities far beyond our teenage dreams. But alongside the fullness and blessings of the past 64 years there have also been times of great pain, loss and struggle. I’m sure that when the Beatles first performed this song they did not anticipate that two out of the four (John Lennon and George Harrison) would not make it to the age of 64. Paul McCartney would not have likely guessed that he would be married three times. The final three lines of the song’s chorus continue to strike a chord of insecurity. Even at the age of 64, and perhaps even more so, I sometimes wonder whether I am needed. Given the reality of Parkinson’s, a degenerative, currently incurable, and quite likely debilitating disease, I may well need to rely on others to feed me. Yet, despite any insecurities, there is a great deal of living to do at the age of 64. Aging presents us with a remarkable opportunity. It gives us a chance to be thankful for so much, which attitude in turn helps us to be positive, from which follows a willingness and desire to care for others. At 64 we have some questions to answer. But they need not be the ones asked in this song. Rather, we can ask ourselves; how can we help others? How can we encourage and value members of our family, our friends, or simply those we encounter from day-to-day? And for those of you who can still sing the song with anticipation, you don’t need to wait until you are 64 to ask yourself these questions? Standing and staring into the bathroom mirror in the early morning does not count as one of my favorite moments in the day. First, even without my glasses, I am instantly aware again that the unshaven person with tousled gray hair that I see reflected has aged considerably since he was 18 (the age that I feel on the inside!). Second, since I haven’t taken any of my pills the stiff movements and uncontrolled shaking remind me of the Parkinson’s disease prison that I occupy. But thirdly, I quickly start thinking about the battles I will face in the day ahead. Fighting bone-deep fatigue, trying to ignore the aching pain that develops in my shoulders and arms, and managing to eat with a fork despite its tendency to catapult its contents onto the table, floor and the person seated next to me; they are all challenges I will have to deal with because of PD. But some days are worse than others. Now that I am the president of a small university (Trinity Western University), I am often required to wear a suit and tie in order to appropriately play host to special guests of various cultures. Of course, this necessitates that I wear a dress shirt, and my favorite dress shirts that I wear are the Nordstrom’s “boat” shirts. Comfortable, crisp and durable, there’s just one problem, THE BUTTON. Actually, there are five buttons with which I wrestle each time I put on a dress shirt. There are the cuff and sleeve buttons, four in total. However, usually after 6 to 8 attempts, I can squeeze the little plastic spheres into their too small stiff-cotton slots where they will stay until the shirt is laundered and returned to my closet to wait its turn to be worn. However, one button, strongly stitched on the edge of my collar next to my throat just under my beard-hidden double chin, remains to be conquered. I pinch one half of the button with my right forefinger and thumb as if to squeeze it flatter. At the same time, while trying to bridge the chasm that separates my collar band, I pull with my left thumb and forefinger to "stabilize" the buttonhole that awaits insertion by the approaching button. Now all this sounds quite typical and easily accomplished, but not so with Parkinson’s. For someone with PD, attempting to place the mini discs through the appropriate reinforced slits can be like trying to thread a needle while standing up in a storm-tossed dinghy. Each desperate try results in deeper frustration, and increased shaking, often ending in exhaustion even before the day has started. There is some things about the way I fight that battle with the button that are important. For starters, the time-consuming process teaches me patience, demanding that I go slower than I would like. Attempting to rush the task is certain to lead to failure. Further, the simple war I wage with the button any given morning trains my spirit to be determined, refusing to give up too easily when it seems hopeless. It may seem to the outsider that this is just being stubborn. Be that as it may, I believe we need to be stubborn in our fight against PD. But there is one more lesson I have learned from the button: the humility to know when I need help. It is a balancing act: asking for assistance too readily on one side and exercising prideful insistence on the other. It takes wisdom to know when to enlist your ally to win the battle of the button. I have the battle of the button. What is your battle? Perfectly timed. It was late Saturday evening when we arrived home after a restful vacation. I was a little anxious, having missed taking my 8 PM Sinemet tablet (Parkinson’s medication). Turning on the tap to get a glass of water, there was a sputtering sound and then… nothing. Not even a burp or a bubble. Nothing. If the water supply system was like a battery, ours was dead. I checked everything (which only took me a few minutes given that I had no clue what “everything” was). We had no water. I felt a sudden sense of vulnerability as I began running down a mental list of things you cannot do without water… make coffee, wash clothes, brush your teeth, take your pills, flush toilets and, on the top of my mind just then, shower. I called the “water people” who had installed the pump in our well that sucked the sparkling clean and cold liquid up from the aquifer some 179 feet below the surface. As I listened to the voicemail message, I remembered that this was Saturday night, a conclusion that was quickly made more complicated by the fact that it was a long weekend (Monday was Queen Victoria Day in Canada and, despite the fact that she died in 1901 at the ripe old age of 81, Canadians hardly seem embarrassed when they use her birthday as an excuse for a holiday). Any hopes of a quick fix in response to my call… I was hoping for something like “Flick that red switch twice with one eye closed”… were quickly dashed by the “water people” out of office recording. “Please be advised that weekend or holiday callouts will be charged at a four-hour minimum rate of $105 per hour per person, with the hourly rate increasing to time and a half after the first four hours”. I left a message for the “water people” to give me a call Sunday morning (emphasizing that I did not want anyone being “called out” without further discussion). Sure enough, Sunday morning Dave, one of the “water people”, called my cellular. When he heard the symptoms I described he quickly diagnosed the problem as a “pump failure”. Apparently, the 22 years that had transpired since the original installation of the pump was substantially longer than the pump’s life expectancy. Who knew? Dave went on to warn me that a crane truck would be required to pull the pump up the steel straw-like well casing so that it could be replaced. This was no minor house call and, given the long weekend, it was priced accordingly. I felt suddenly helpless, having taken for granted the ready access to water at the turn of a tap. Now, drawing water from the swimming pool solved the problem of flushing toilets. A bucket full dumped into the toilet was all that was needed. But having a shower (hot, or at least tepid) required more than innovation. It necessitated a friend, and not just any friend. This had to be someone who might be home on the long weekend just waiting for a call from a desperate, dirty and, likely, odoriferous friend in desperate need of a shower. It occurred to me that the deprivation of one modern convenience I often take for granted left me dependent on others. The metaphor dawned on me as I swallowed my Parkinson’s medicine, helped along by a warm soft drink from the pantry. My neurological full functioning, like the running water in my home, will no longer taken for granted. In fact, the analogy of my crippled water system, left me wondering; perhaps someday a person with Parkinson’s will be able to have their neurological “pump” replaced so that it will again function correctly. In the meantime, let’s not take anything for granted. And when we run out of independent options, we need to remember that we have each other to help us through. The World Parkinson Congress is held every three years. This year, 2016, it will be held in Portland, Oregon, USA. I will be there, just as I was for the 2010 (Glasgow) and 2013 (Montréal) events. It is an extraordinary opportunity I would not want to miss. It offers invaluable understanding, innovative ideas, incredible camaraderie and inestimably important; hope. While it is an intense three days, there’s nothing quite like it for healthcare practitioners, scientists, resource people and people with Parkinson’s. It is a time when the disease actually draws people together from all over the world for a very worthwhile purpose: to better the lot of those who are challenged by this debilitating, degenerative and, supposedly, incurable neurological disorder. This year also represents the 10th anniversary of my Parkinson’s diagnosis. I am now a decade into this strange “season” of living. Time for a look back at the most meaningful lessons I have learned (limiting the number to the top five). Perhaps the most profound thing I have learned over the past 10 years has been to recognize the truth found in the words of the song, “Turn, Turn, Turn”, written (actually borrowed from the Book of Ecclesiastes in the Old Testament) by Pete Seeger, this song was first performed when I was 10 years old, and was subsequently performed by dozens of major artists and groups. You may remember the opening line to this timeless and classic hit: “To everything there is a season, and a time to every purpose under the heaven”. It reminds me that the one constancy of life is change. It is unpredictable. Life has its seasons. And, of course, the onset and progression of PD is neither predictable nor controllable. Change is inevitable as the seasons, and we must adapt with each change. That leads to my second revelation. While one cannot control whether one gets PD, each of us who do have control over how we respond to that diagnosis. Whatever our circumstances, and I don’t pretend that they are exactly the same for any of us, we each have to choose what we do in response to the diagnosis received. The array of choices can be overwhelming. But even to refuse or fail to make the decision is a choice. Choose we must. The third conclusion I have reached in my decade with this rather insistent partner called Parkinson’s is that the most important thing I choose is my attitude. PD is more than the sum total of its symptoms and causes. It is a battle for control over one’s attitude. We can remain positive, solution-oriented, determined and purpose-driven. Or you can choose negativity, self-interest, withdrawal and purposelessness. This choice is left up to you and me, to be exercised every day, perhaps multiple times each day. It is likely our most important legacy to those who watch our journey. The fourth of my top five lessons learned is something I tried to teach my children. “Falling is part of learning”, I often assured them whether they were trying to learn to ski, ride a bicycle or achieve some success or goal. It is not how many times we fall, or fail, it is how many times we get back up and try again. PD is challenging, there can be no doubt. It may literally mean falling, shaking, or not moving at all. But whatever it is, it will require discipline and perseverance in order to deny PD the victory. These five lessons are not about surviving PD, but rather thriving despite, or maybe because, of the disease. Let’s chat further at WPC 2016, September 20-23, 2016. There are lots of lessons to be learned there. You won’t regret making it a priority.